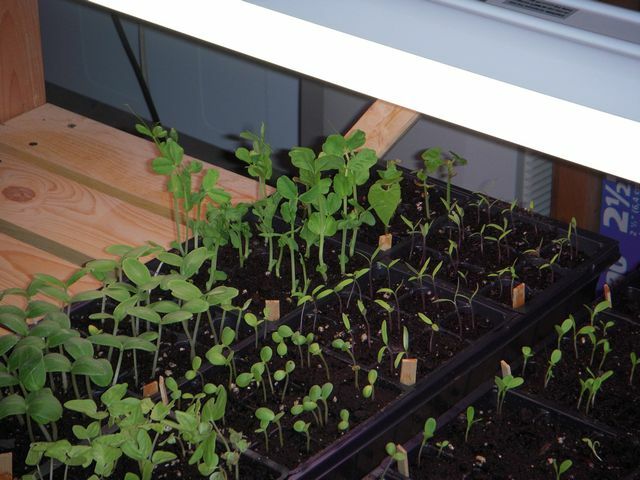 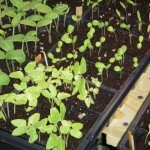 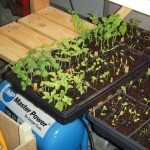 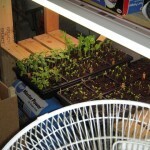 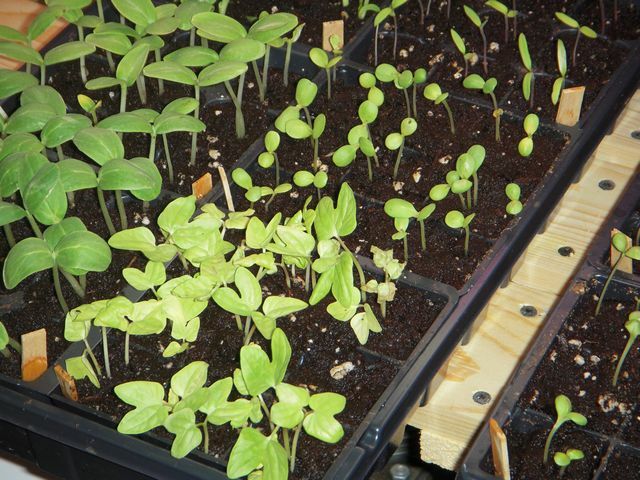 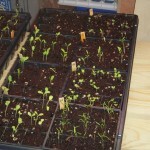 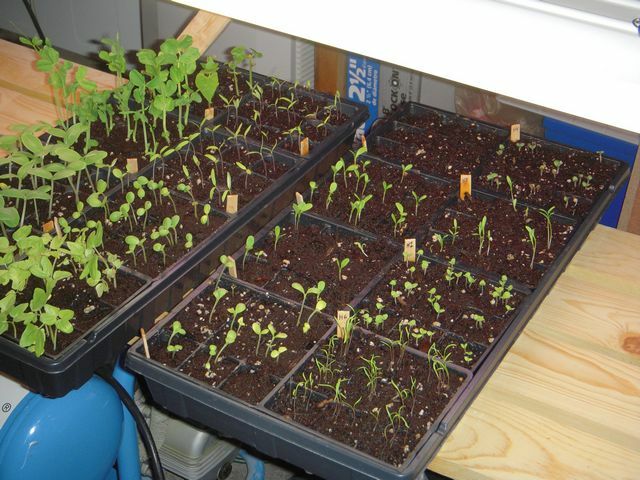 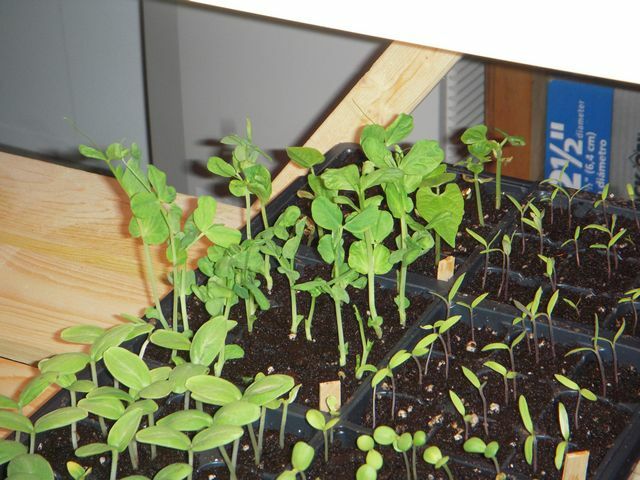 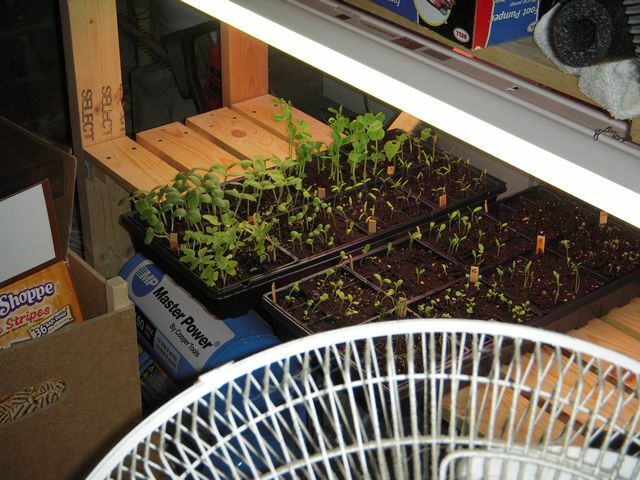 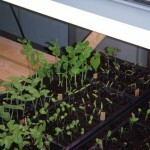 I’m getting kind of tired taking the seedlings outside for some sun and air. 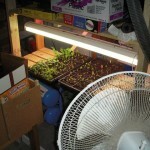 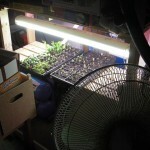 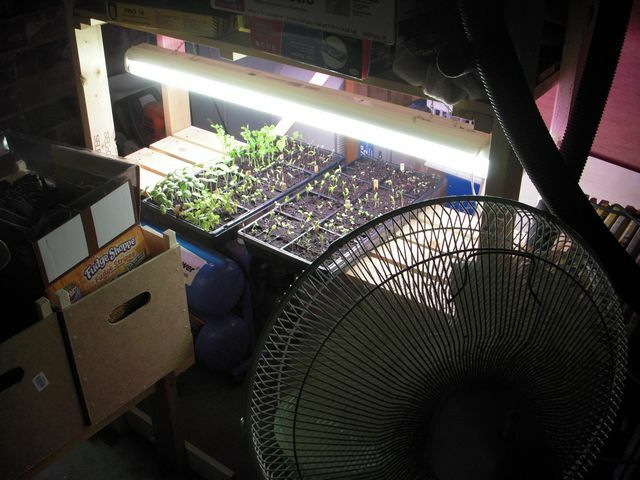 So last night I set up some grow lights hooked to a timer down in the basement for two of the seedling flats. 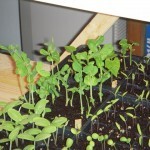 Upon closer inspection of the flats it seems that some of the flower seedlings (F4) are starting to wilt for some reason. 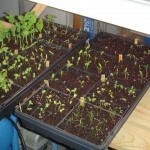 My only guess is that the seedlings need to be fertilized, since they are growing in soil-less mix. 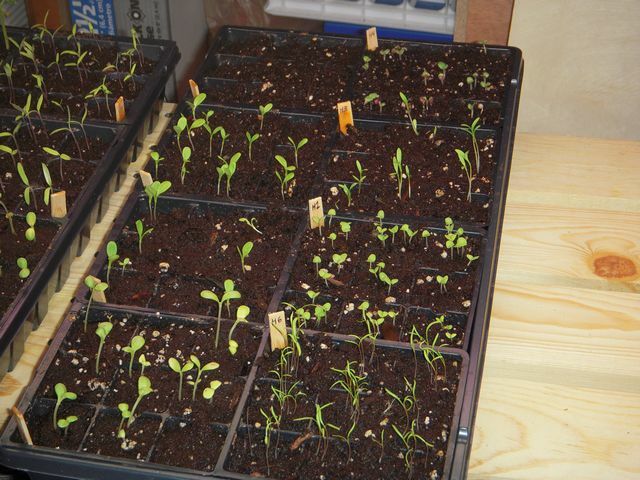 So I gave all the seedlings some water with fertilizer. 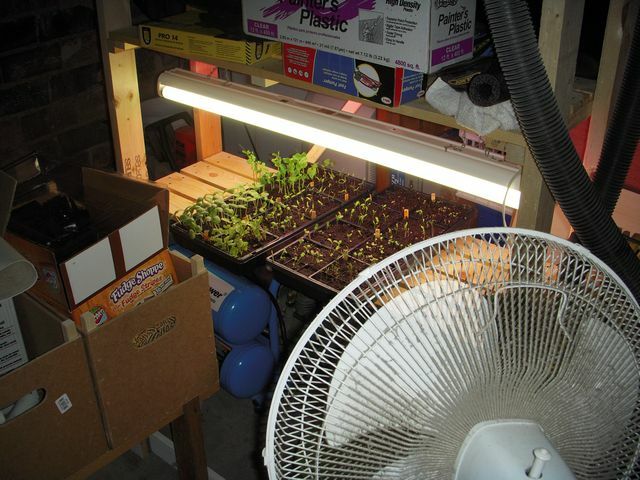 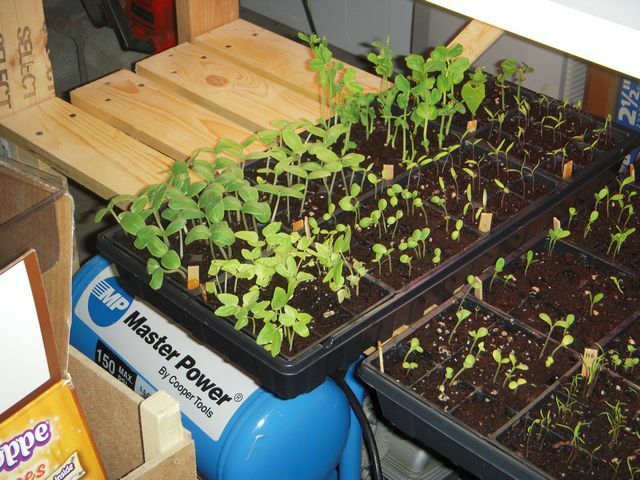 I also ended up added the fan in the afternoon today, just to get some air moving around the plants.